Hi everyone! Today, I want to talk about the letter ‘t’. 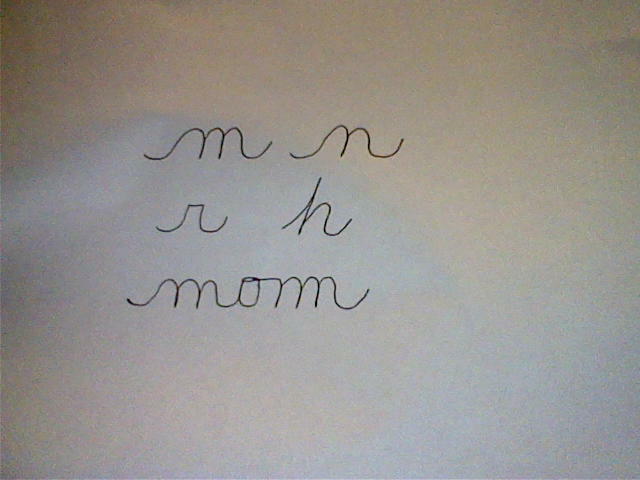 There is so much revealed in just this one letter. But, we will look at only a couple traits. They are ‘sensitivity to criticism’ and ‘dignity’. Also, we will inject a little about pride and independent thinking. Lets get started! 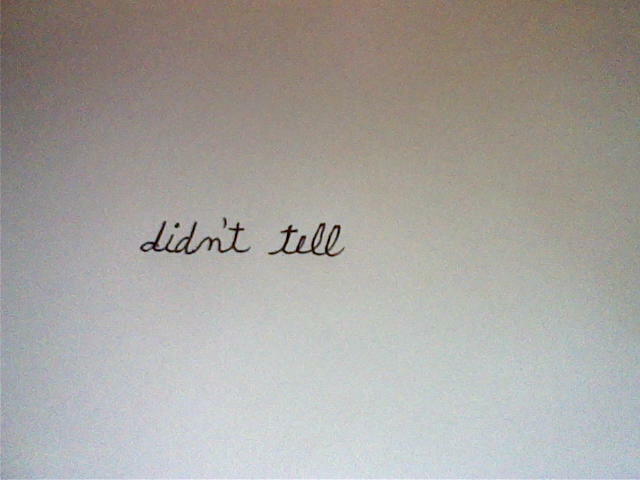 The first ‘t’ shows a person with a retraced ‘t’ stem. This indicates a sense of dignity. He conforms to a code of conduct he values and feels a sense of worth because of it. He is conscious of his personal image. 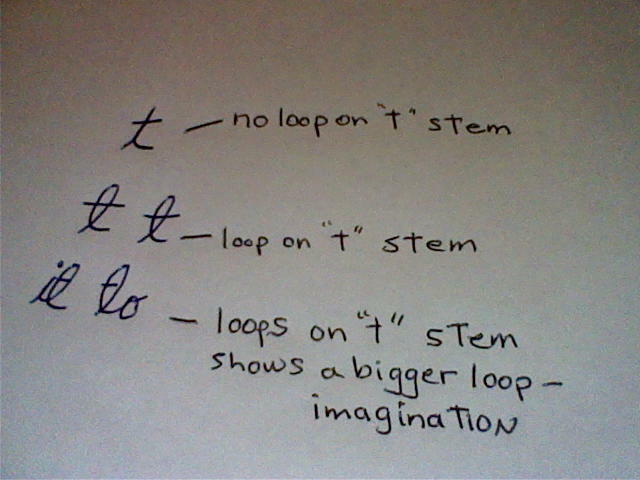 The second ‘t’ shows a person with a ‘loop’ on their ‘t’ stem. This indicates ‘sensitivity to criticism’. He imagines criticism and is ready to be hurt or slighted in some way. Because this is the letter ‘t’, his sensitivity is in his conduct or accomplishments. 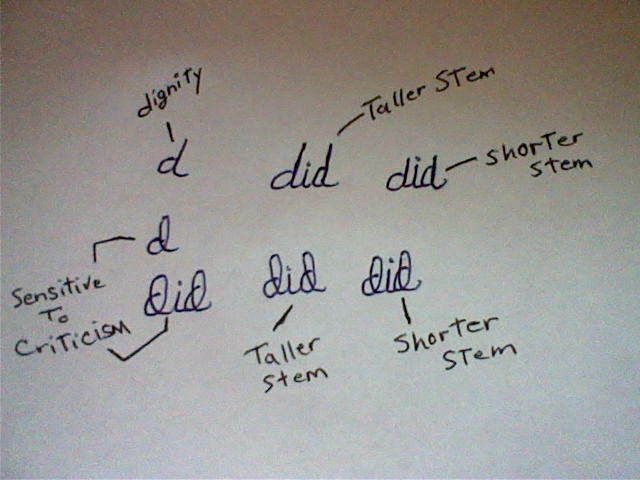 If you add a taller ‘t’ stem it would reveal the trait “pride” as well. He wants others approval, but feels and fears disapproval. If the ‘t’ stem is shorter, this reveals that even though he is sensitive to criticism rather it’s real or imagined, he will act independently (deciding what he feels is best). A writers ‘purpose’ can actually be lost in his sensitivity as in the latter ‘t”s. 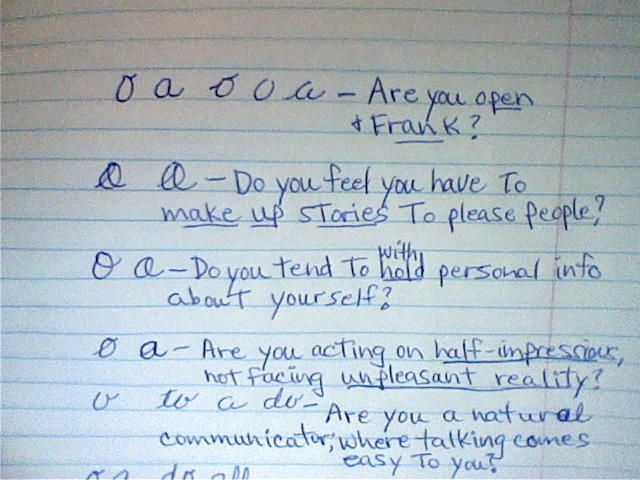 Another letter that reveals these traits is in the letter ‘d’ This is seen in the example above. 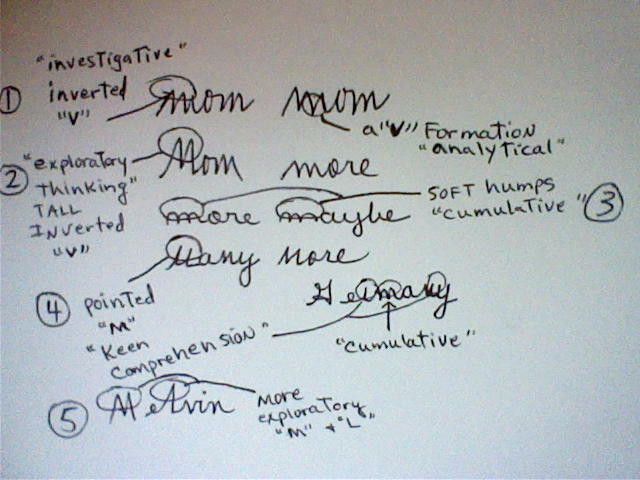 (looped ‘d”s show sensitivity in the writer himself and his everyday ideas). 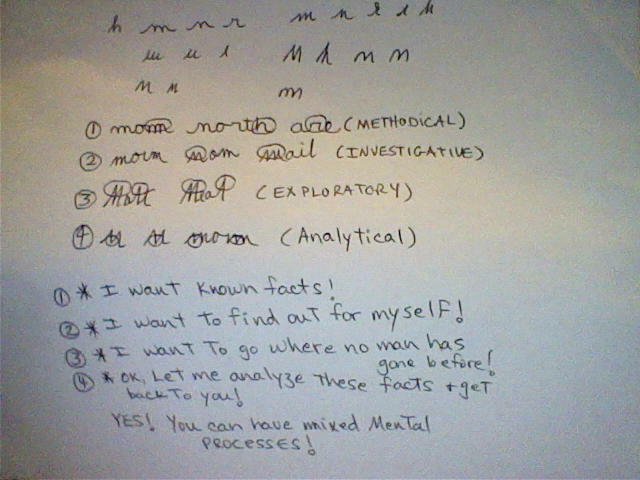 Remember, there are many other ‘traits’ not only revealed in the letter ‘t’, but in other letters. 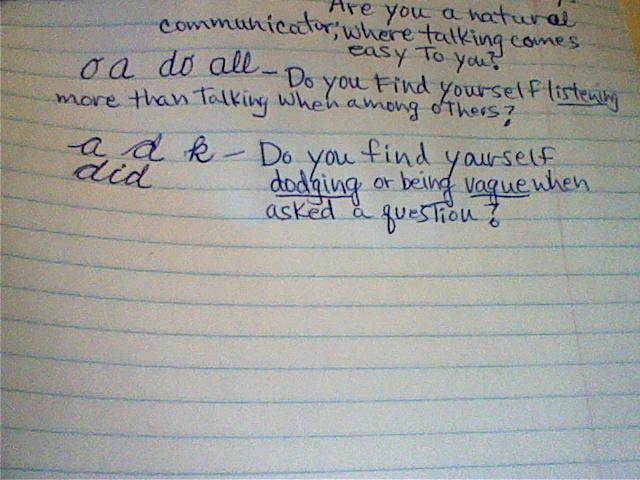 So, after adding these traits up (evaluating), along with the handwriting ‘slant’, ‘depth of writing(dark or light) and many other things, we start to put together a ‘personality profile’. 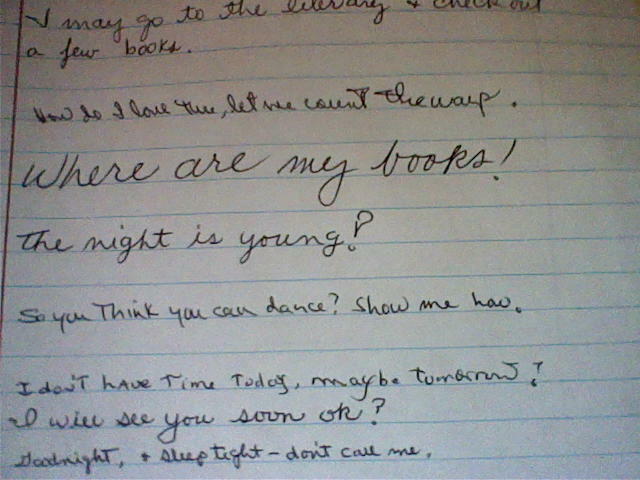 Remember, ‘loops’ show different kinds of imagination depending on where you find it in the handwriting. 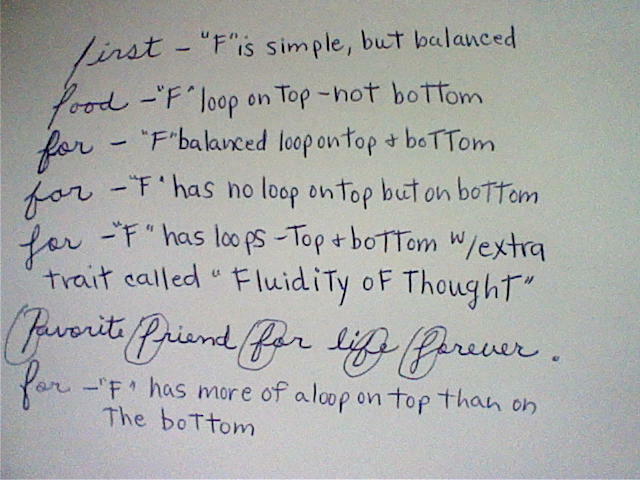 Soooooo have you noticed these traits in your handwriting or others??? 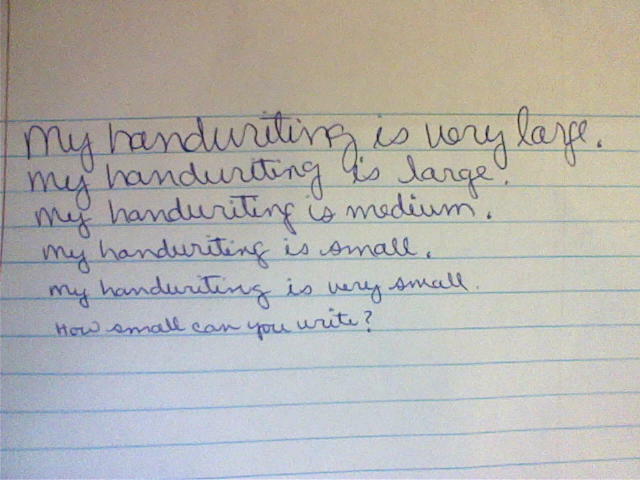 Can you spot any of the traits we just talked about in this example of handwriting? Let me know. :) If you have any questions about what we talked about today let me know. 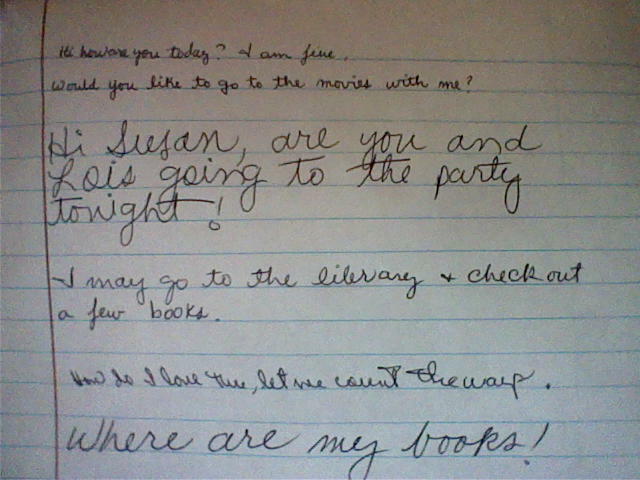 I will try and answer them to the best of my ability! Thanks for joining me guys! God Bless!